Feeding up to 12 times in a 24 hour period. Suitable for beef, dairy and sheep farms. Simple to use 24/7 service and support. 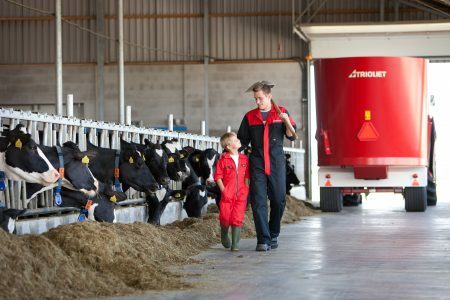 Robot provides an accurate feed report and feed stock management. Triomatic T10 – 3 m3 stand alone feeding robot. 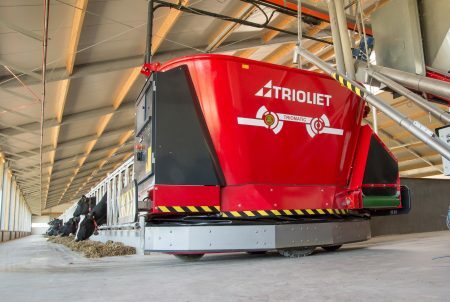 Triomatic T20 – 7 – 46 m3 static mixer & feeding robot. Triomatic T30 – 18m3 feed bunker (per bunker) & feeding robot. 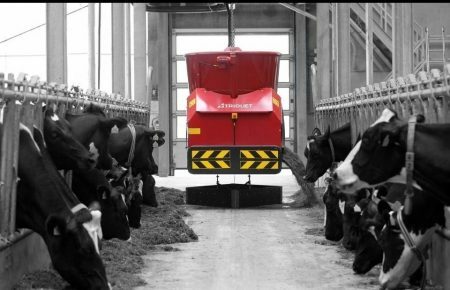 Triomatic T40 – feed kitchen with walking floors (approx 9t of grass silage per floor, 16t of maize silage up to 8 floors & feeding robot. 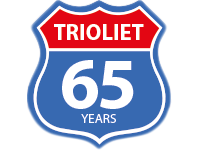 NEW Triomatic T15 – wheel operated feeding robot.